Back in 2004, in the ‘York Walks’ which formed the original version of this website, I made a page called ‘Watch this space‘. It included various empty and boarded-up buildings I’d noticed while wandering about. Here’s a 2014 revisit to a couple of connected buildings pictured back then. 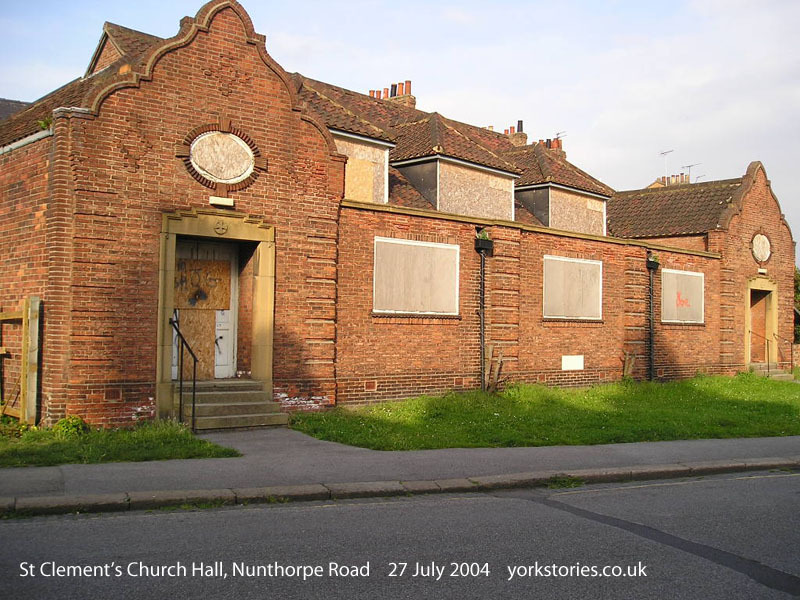 A stone’s throw from the Moss Street depot featured on a recent page, here’s St Clement’s church hall, as it was in late July 2004. A charming building, even with its boarded-up windows. Now known as Clements Hall, it has all kinds of things going on. The Clements Hall website has more information on the building and its history. 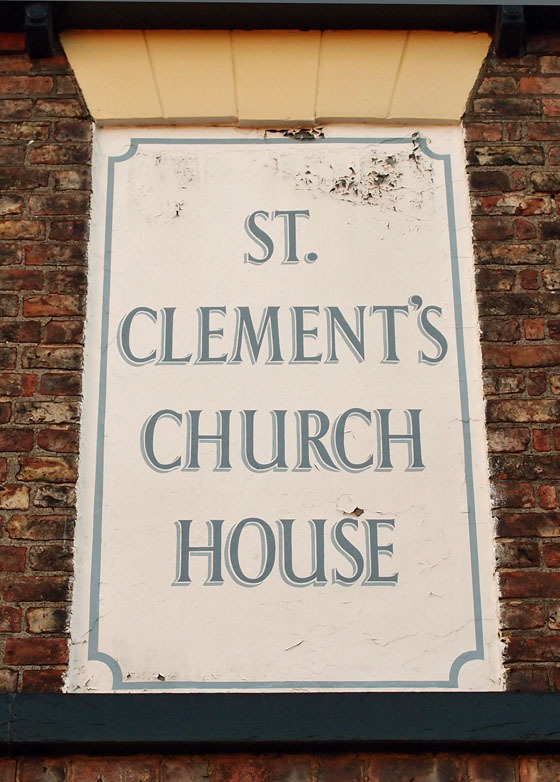 When I walked this way in 2004, randomly wandering wherever the fancy took me, I took a couple of left turns a little further on and discovered this equally charming ‘church house’ on Cygnet Street, behind the church hall. In the intervening years, like the former church hall above, the church house has been restored. Here it is in August 2014. It was the old hand-painted sign, back in 2004, which made this house stand out, gave it a story. 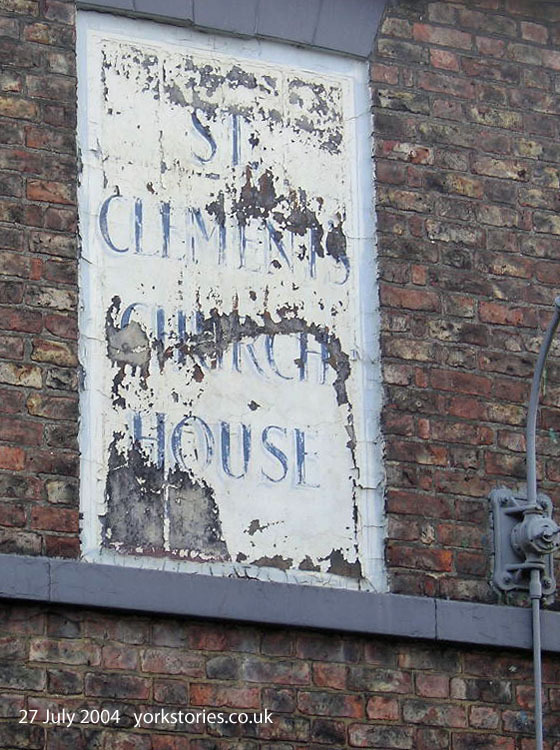 This was the ST CLEMENT’S CHURCH HOUSE as its elegant sign informed me, in faded and peeling paint. Restored since, and handsome it is. Though perhaps this building isn’t actually a ‘church house’ anymore. 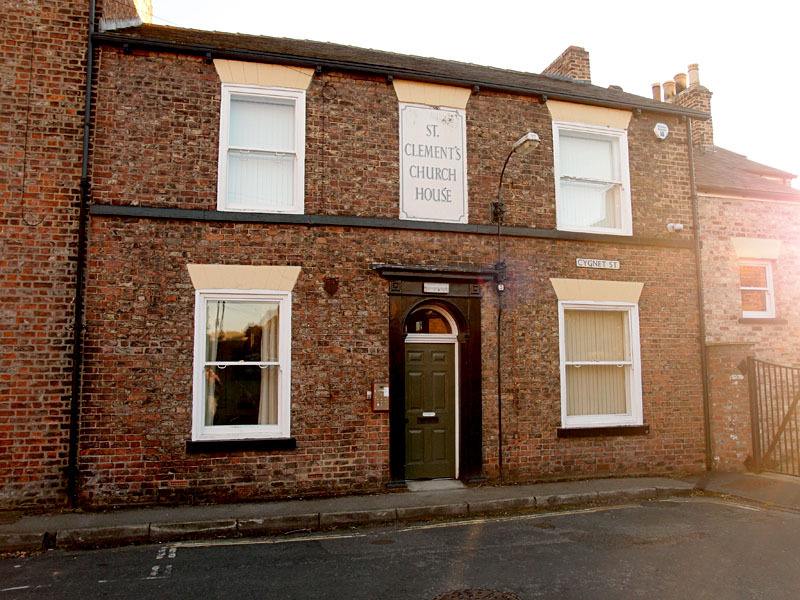 What was a ‘church house’ anyway? What happened in it? So many questions, so little time to research them these days. Perhaps someone else knows. Please leave a comment if you do. The above is a reminder that the city’s visible changes aren’t always about buildings being demolished with new ones put in their place. ‘Past and present’ comparisons often focus on that, but what we perhaps don’t appreciate enough is how much work goes into keeping all these historic buildings in our care, and how much time and effort it takes to find suitable reuses for empty buildings, and the funding to support their renovation. I’ve been wanting to feature this building for some time, and it’s nice to be able to do so. Made possible by a kind sponsor, a reader and supporter of this site. Thank you. 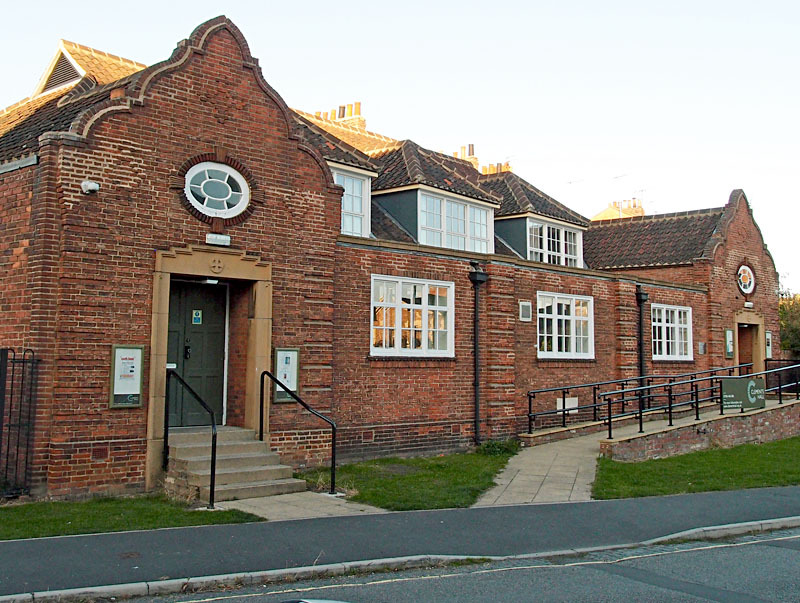 Lisa – when I was in York Light Opera Society (as was) in the 80s, we used to rehearse in St. Clement’s Church Hall. 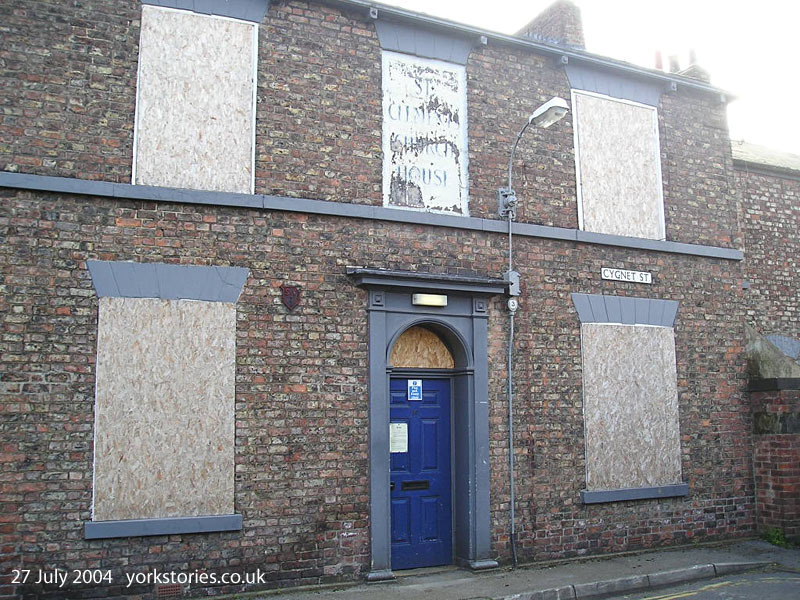 The ‘House’ on Cygnet Street was the ‘other’ way in. The two were joined. Don’t know if that’s still the case, obviously.